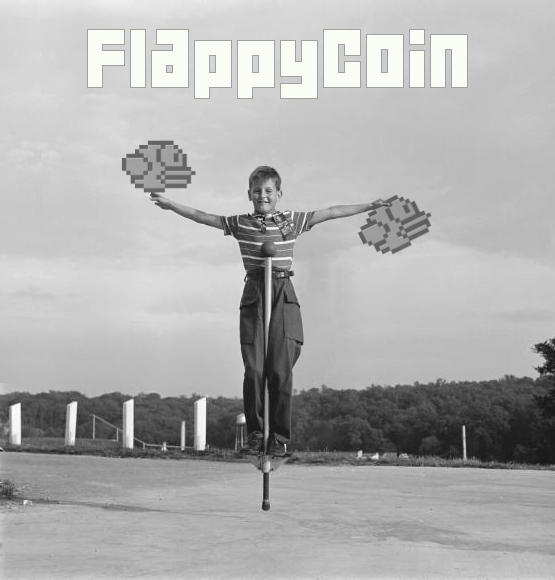 FlappyCoin is a decentralized electronic currency with a fun twist! Make payments almost instantly, anywhere in the world. FlappyCoin (FLAP) was launched on Feb 14, 2014 02:30 EST following the success of the Flappy Bird mobile game and crypto-currencies. FlappyCoin is an electronic currency that allows making payments almost instantly anywhere in the world, based on scrypt PoW, a descendant of Litecoin. FlappyCoin has an awesome and innovative team of developers, working full-time to make FlappyCoin the best altcoin ever! FlappyCoin has one of the most active communities of all the altcoins... come join us in the revolution! The current development team is a group of mature level headed developers that have taken over leadership to move the cryptocurrency towards realistic goals and work with the community. We have done this with the blessing of the original developers. The original developers are a group of developers in Vietnam. They contacted the owner of Flappy Bird game and he granted them all the rights to publish this coin using resources from the Flappy Bird game. Any other third party uses the resources is considered illegal.